If you're interested in learning how to play tenor saxophone, there's much to learn and much to practice. So, here we would like to share some important tips for learning and mastering the incredibly expressive musical instrument that is that tenor saxophone. It's important to touch upon the various basic effects that you should be aware of and practice on your tenor saxophone. With these effects under your hat, your playing will be far more adept, musical, and varied. You will also be able to use these effects in your own unique combination so that you can forge your own personal, distinct style of tenor saxophone playing. Flutter Tongue: This is a Growling-like effect that is produced with the tongue. Achieved by placing the tongue very lightly on or close to the roof of the mouth and breathing out heavily through the mouth while blowing. Growling: Achieve this by humming while at once blowing. Honking: Use this effect to make your tenor sax honk just like a goose. Note Bending: Heavily used in jazz and blues playing, bending means you sharpen a sustained note after sounding it non-sharped or even flatted. When you become quite advanced you can also start a note sharp and then bend it down in pitch. Slap-tongue: This produces a popping sound. Slurring: Fluidly playing up or down a scale without pause. Tonguing: With this technique, you use your tongue to touch the reed between notes. By putting your tongue on the edge of the reed in between notes, you make the reed cease from making a sound, and this forces a rhythmic break between the notes that you're playing. Vibrato: This brings more depth and color to the note that you're sounding. You should start with the Lip Method and then, once you are more advanced, you can use the more difficult and more subtly expressive Diaphragm Method. The tenor saxophone is the second most widely played sax in the music world. Exemplars of great virtuosity on the tenor sax include Plas Johnson and Stan Getz. The saxophone is associated with jazz, blues, and some subgenres of rock music, however, it actually began as a classical orchestra instrument, and it's possible to find recordings of classical music making use of the saxophone. 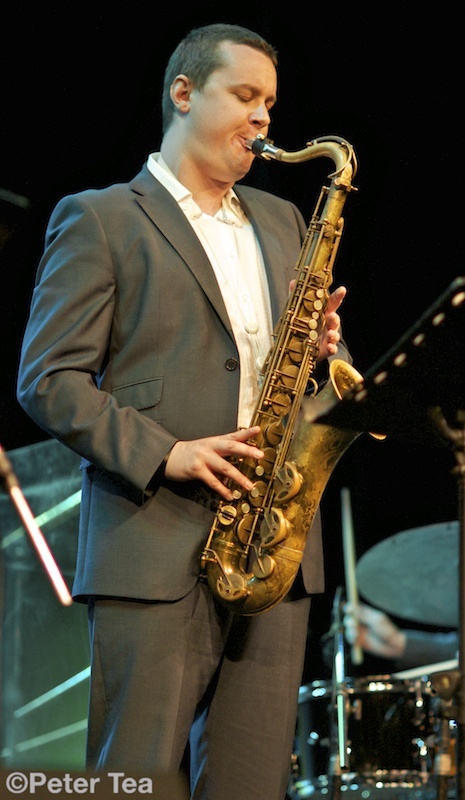 But in addition to learning the effects listed above and listening to tenor saxophone greats to pick up inspiration, in order to play great tenor saxophone [http://www.thebestsaxophones.com/] you need to buy yourself a quality tenor sax. But a quality tenor sax doesn't need to be overly expensive, especially if you are first learning. And yet, you don't want to get a cheap tenor sax that will easily corrode or break, or which won't yield a fulfilling sound. Choose your tenor sax carefully to strike the perfect balance between affordability and quality.